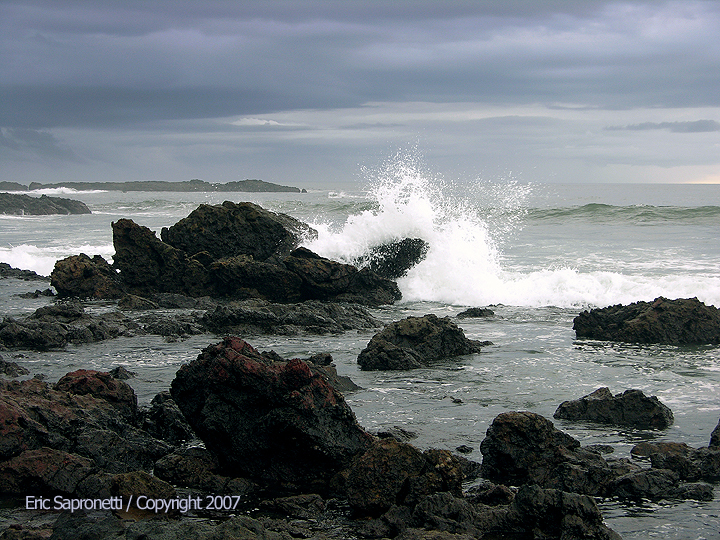 Costa Rica's Pacific coast is constantly pounded by the might ocean's endless surf. When a storm is brewing on the horizon, the waves pound with even more intensity. It is an exciting site to see.